The Rose Ball is an annual ball which is held in Monaco by the princely family and marks the onset of Spring. 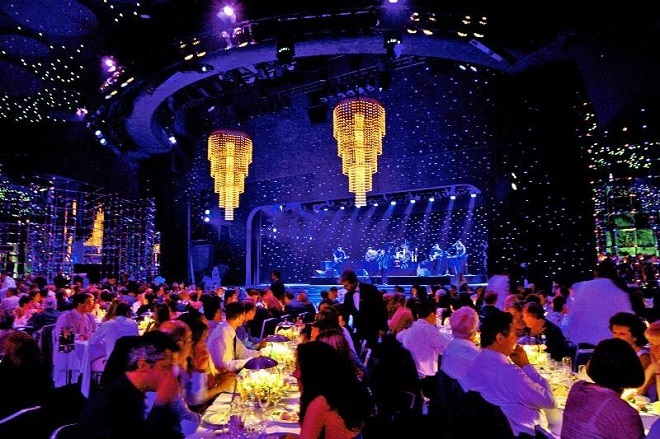 It will be held this year on Saturday 30 March traditionally at the Sporting Monte-Carlo – Salle des Etoiles. For several years Karl Lagerfeld was the designer of the event. Last year he was again invited to design the Ball, his fifth time to accept the honour. And 2019 this March the Ball will feature a remembrance to him since he passed away this February. Nevertheless, the theme of this year event will be the one chosen by the legendary designer, it is The Riviera. There are always ravishing bouquets of thousands of roses decorating the Salle des Etoiles in the Sporting Monte-Carlo complex. Top-name performers delight the audience, who grace the event with their finest attire. Currently presided by H.S.H. the Sovereign Prince Albert II and H.R.H. Princess Caroline of Hanover, the Rose Ball is a symbol of glamour that maintains the fascinating Monte-Carlo legend that it has helped create. The Rose Ball is first and foremost an internationally recognised charity event with all proceeds and other exceptional prizes (sculptures, paintings etc.) going to the Princess Grace Foundation since 1964. This foundation’s vocation is to help people and children in need by developing humanitarian and philanthropic projects. Grace Kelly, who lived her own fairy tale romance to become the Princess of Monaco, had the idea to create this enchanting springtime ball. The first Ball de la Rose was held in 1954, after her marriage to Prince Rainier III of Monaco. 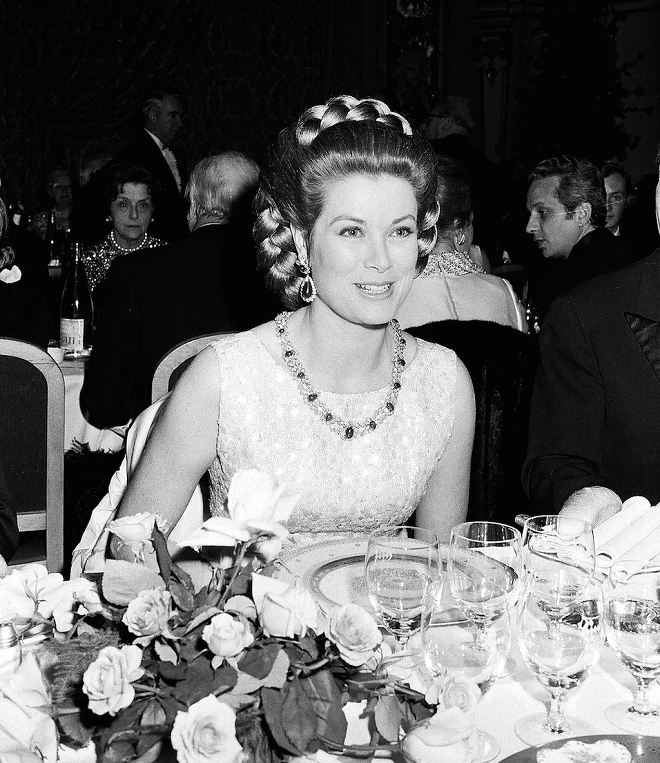 Every year, Princess Grace was personally involved in the event’s preparation. The choice of roses as a main detail of the decoration was not random, as roses were the favourite flowers of Monaco’s beloved Princess. After her tragic death, her inconsolable husband founded The Rose Garden in Fontvieille in memory of his beautiful Grace. The Ball was not meant to be just a social event. Charity was always important to the Princess, and to this day it remains a charity ball, with all profits going to the Grace Kelly Foundation, sponsoring children with special needs or serious illnesses. On top of the usual auction and the entrance price of 800 Euros, guests are also welcome to make donations. Now in its 62nd year, these funds have helped scores of children. From the very first ball, sophistication was the key factor. In 1954, when Latin American dances such as samba, foxtrot and mambo were popular, Henry Astrik, the creative director for Société des Bains de Mer, came up with a bold idea: to make the waltz the main dance of the Ball. He also suggested to avoid ornate decorations and use only roses. For the musical instruments, only one hundred violins would do. By 1957, the Ball included a ballet “Mimi la Rose” with Colette Marchand, a French prima dancer and film actress. 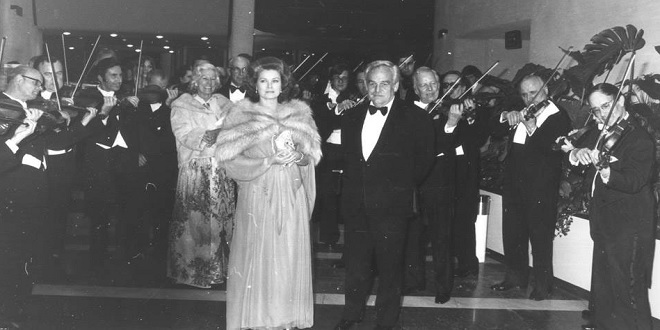 In 1975, the spirit of the Ball remained the same: waltz, roses, a hundred of violins and a ballet as a background—but the venue was changed. The Ball moved to the chic Monte-Carlo Sporting Club, featuring a “starry ceiling” decorated with hundreds of tiny blue and white light bulbs, giving extra charm to the Ball’s romantic atmosphere. The same year, the tradition of a fashion charity lottery with many generous prizes was established. World-famous fashion and jewellery brands presented their products for the highest bidder. In 1977, French dancer Jacques Chazot, performed at the Ball. Since then, a new musical theme has been chosen every year: gypsy music, French cancan, Charleston and the tango. Over the years, famous dancers and actors were invited to perform at the Ball, which made the event even more popular and glamorous. However, no matter how often the theme was changed, one thing remains the same: 25 thousand roses decorate the Ballroom. Half of a century later, this traditional ball remains a highlight of the Principality. Each year, the royal family chooses a famous artist or fashion designer to decide on a theme and decorate the Ballroom. In 2012, the spirit of London and British dandy of the 1960s was chosen as the main theme. And it was not a random choice: the British theme was selected as a prelude to the Olympic games in London in 2012. While in 2010, the motif of the event was Moroccan with colourful and sultry oriental motifs. 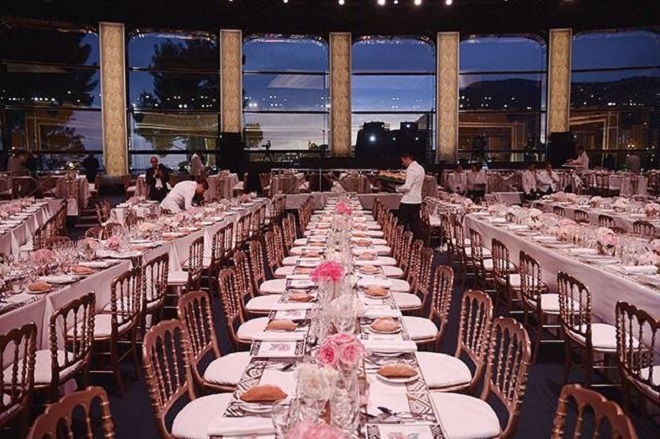 What keeps Bal de la Rose at the pinnacle of splendour is, yes the fourteen thousand roses, but also the unequalled team that Princess Caroline invests with confidence year after year to “idea” the event. There is a rumour that the guest list is personally made by Prince Albert II, Princess Caroline and Princess Charlene. They make their own additions and approve the final version. Every year, the list invites about 1.000 guests from around the world. Princely family and Karl Lagerfeld at the BallAlongside the royal family, guests include European high society and famous stars. Recent guests have included British pop-star Lily Allen, who performed for the guests in 2014, and famous British singer and composer Shirley Veronica Bassey, mainly known for writing three James Bond soundtracks. 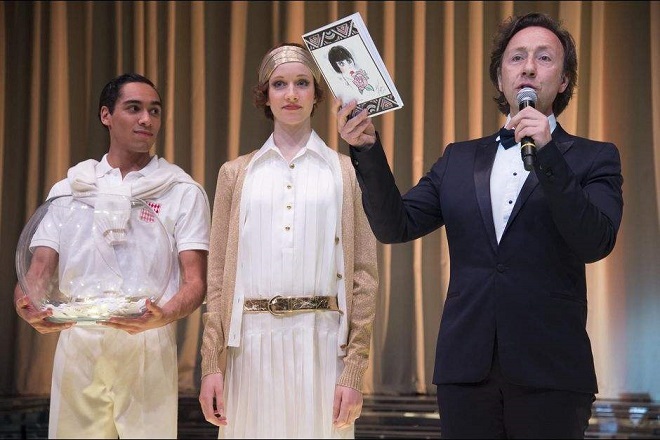 Regular guests include the editor-in-chief of Vogue Italia, Franca Sozzani; Japanese designer, Kenzo Takada; famous French TV presenters, such as Stéphane Bern (announcing the charity lottery); other TV stars and some politicians. There is a strict “black tie” dress code at the Ball de la Rose. Men have to wear a black or dark-blue tuxedo, trousers of the same colour, a black bow tie and a white shirt. Shoes cannot be shiny, but Derby or Oxford type. A “black tie” dress code for women is less strict and mainly requires a long evening dress with the length below the knee.